Sen. Orrin G. Hatch showed his support on Wednesday for songwriters receiving compensation based on the fair market value of their songs as many lyricists lobbied on Capitol Hill. “Your artistic works inspire and delight us and encourage the creation of new works,” Hatch told the group as they broke for lunch in between office visits. Led by the American Society of Composers, Authors and Publishers, the “Stand with Songwriters” Advocacy Day brought in hit songwriters who urged members to update federal music licensing laws. “The music business is among the toughest and most competitive industries, and our songwriters and composers should not have to accept below-market rates for their work,” Hatch said. Desmond Child, who co-wrote Bon Jovi&apos;s “Livin’ on a Prayer,” Khari Cain, who co-wrote Bruno Mars&apos; “Just the Way You Are," Savan Kotecha who co-wrote The Weeknd&apos;s “Can’t Feel My Face” and MoZella, who co-wrote Miley Cyrus&apos; “Wrecking Ball”, were among the songwriters lobbying on the Hill. 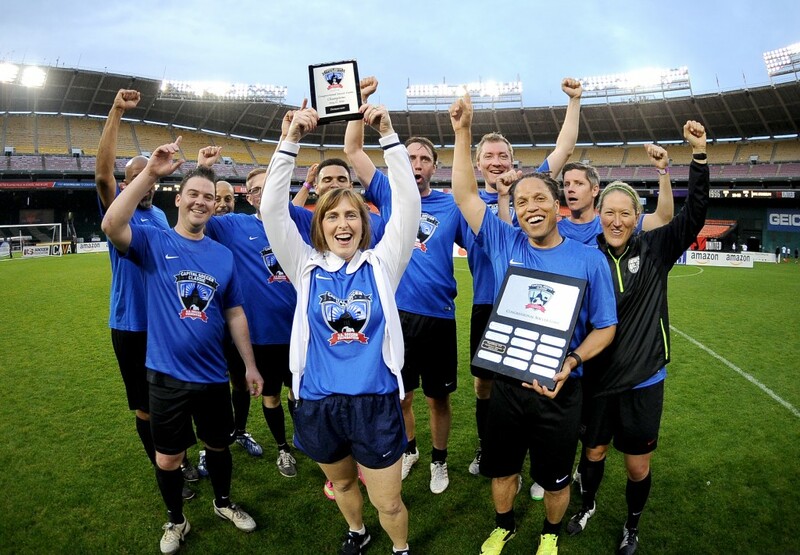 Democrats took home the trophy at the 4th annual Capital Soccer Classic on Tuesday with a 7-4 win over their Republican counterparts. At a rain-soaked RFK Stadium, the winning squad could perhaps be also considered the women’s team — of the four House members who participated in the game, the two women members both played on the Democratic roster. Reps. Kathy Castor of Florida and Suzanne Bonamici of Oregon played alongside teammates including former professional soccer player Cobi Jones, now an analyst for the Los Angeles Galaxy. For the Republican team, Reps. Todd Young of Indiana and Erik Paulsen of Minnesota played alongside D.C. United head coach Ben Olsen, Jonathan Spector of the U.S. national team, and retired player and current soccer analyst Danielle Slaton. The game raised money for the U.S. Soccer Foundation whose programs provide sports-based youth development in undeserved communities.